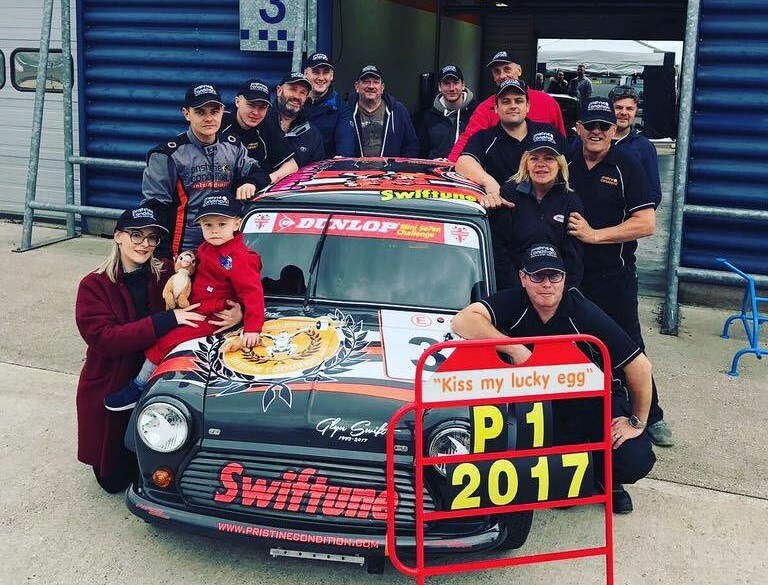 The Mini7 championship is renowned as being the most competitive series in the world of Mini racing, Pristine Condition Racing Team brought their beautifully prepared car to the top of the leader board powered by the Swiftune developed Mini7 engine. Consistency is the name of the game! Charlie achieved a fantastic 12 podiums out of 14 rounds with a total of 259 points scored out of 280. That’s a 100% finishing record. After a winter long development program the Swiftune “Works” spec 998cc engine proved to be consistently the fastest throughout the 2017 season whilst maintaining a 100% finishing record. During this time Swiftune was on hand at all the race meetings to ensure the reliability was achieved! Congratulations to Charlie and the team – bring on 2018!